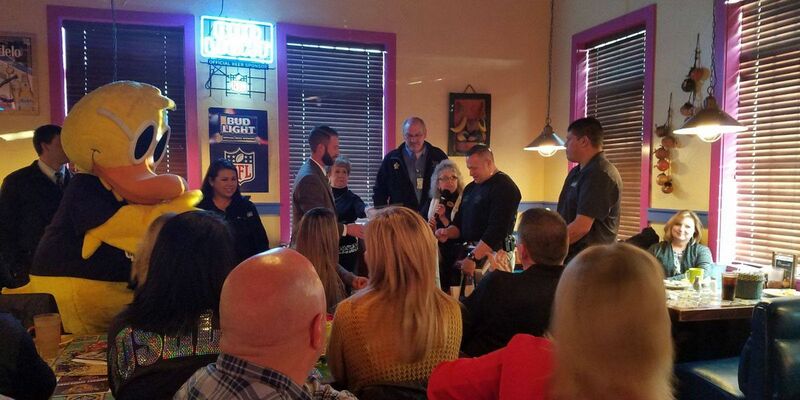 AMARILLO, TX (KFDA) - A Potter County Sheriff’s Deputy was honored for service to the community last week. Deputy Randy Tinsley was named the Quick Quack and Welcome Pardner! First Responder of Distinction for the month of January. Tinsley was nominated for the honor by Potter County Sheriff Brian Thomas. A few other local organizations were honored during the Welcome Pardner Networking Breakfast. The Maverick Boys and Girls Club of Amarillo was nominated as the non-profit of the month, while ASCO Equipment was nominated as the for-profit of the month after a matching fund drive they did for The Maverick Club.